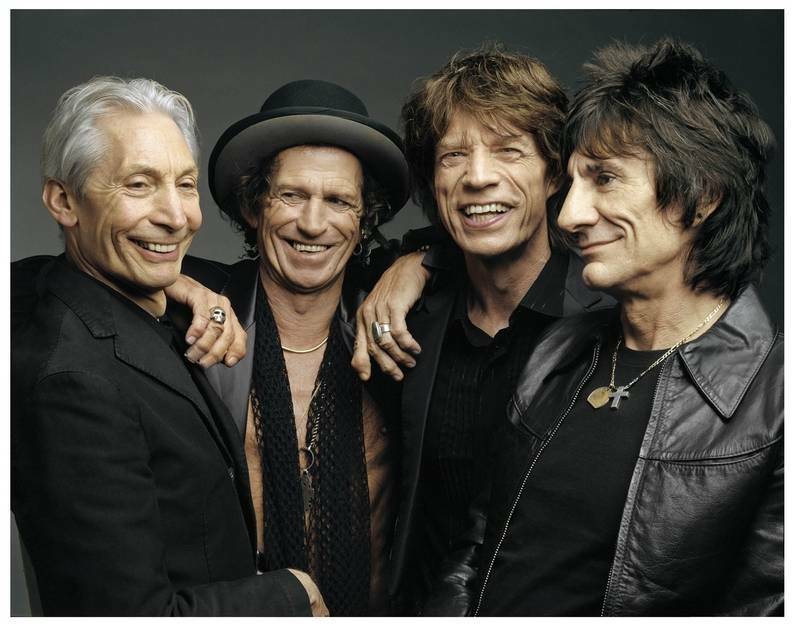 The new album: This page will be updated with the latest information about the new Rolling Stones album due out for their 2005/2006 world tour. Title: The title of the new album is "A Bigger Bang", as confirmed in a press release on July 26. Release date: The album will be released on Sept. 5 in Europe, Sept. 6 in USA & Canada. The single should be out by Aug. 22 in Europe. Recording: The album has been recorded in France during the autumn, winter spring and summer of 2004/2005. Initially song writing by MNick & Keith. Then later on Charlie and Ronnie in studio as well. The mixing was finished by June 28, and then Don Was, Mick and Keith went straight into mastering the day after. "Oh No, Not You Again": The first track to be made available from the album. Played live during the Rolling Stones press conference in New York, USA, Tuesday May 10, 2005. "Streets of Love" and "Rough Justice" are the two tracks to be released on the single. These two tracks were released in radio edit versions to selected radio stations across the world on Friday July 22, and were aired the same day. See comments and discussion of the tracks on the IORR Tell Me forum pages. "A Bigger Bang" is an ambitious, wide-ranging collection of hard-hitting, high-powered rock and blues songs. Running a full sixteen tracks, it is the band's longest new album since 1972's "Exile on Main Street." Key cuts include "Streets Of Love," the first international single; "Rough Justice," which will be targeted to U.S. rock radio formats; and "Back Of My Hand," a raw, rough-edged new song in the classic Rolling Stones blues style. Other titles include "It Won't Take Long," "Laugh, I Nearly Died" and "Rain Fall Down" as well as two tracks featuring Keith Richards' lead vocal, "This Place Is Empty," and "Infamy." "A Bigger Bang" was produced by Don Was and The Glimmer Twins. Was previously co-produced the Rolling Stones studio albums "Voodoo Lounge" (1994) and "Bridges to Babylon" (1997) as well as the new songs included in the greatest-hits collection "Forty Licks" (2002). Was also co-produced the live album "Stripped (1995), and last year's critically hailed double-CD "Live Licks." A new song from "A Bigger Bang," "Oh No, Not You Again," was previewed in the band's surprise live set on the balcony of New York's Juilliard School in May, at the announcement of the tour. Following the completion of 35 scheduled dates in U.S and Canada, the band will then tour Mexico, South America, the Far East, New Zealand, Australia, and finally Europe, in the summer of 2006. The Rolling Stones hold the record for the top 2 most-attended North American tours of all time. 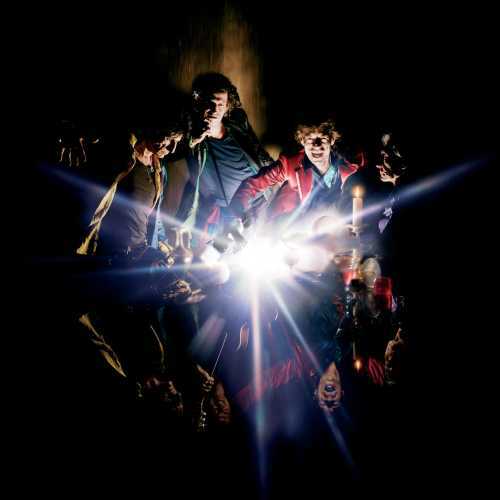 The U.S. leg of the Rolling Stones "A Bigger Bang" tour is presented by Ameriquest Mortgage Company. The Rolling Stones' "A Bigger Bang" world tour is presented by Concert Productions International and produced by WPC Piecemeal Inc. The Rolling Stones are set to release their single, 'Streets of Love,' on 22 August 2005 through Virgin Records. Taken from their forthcoming as yet untitled studio album, 'Streets of Love/Rough Justice' will be issued as a double 'A' side on limited edition numbered CD and vinyl 7". Recorded in summer 2004, the single is a Jagger-Richards composition and was produced by Don Was. Mick Jagger, Keith Richards, Charlie Watts and Ronnie Wood will return to the live arena with a massive kick off in Boston's Fenway Park on 21 August. With 40 dates already confirmed in the US and Canada, the band will then tour Mexico, South America, the Far East and finally Europe in the summer of 2006. The Rolling Stones Onstage will once again showcase their diversity as musicians and performers by playing three dramatically different venues from the grand scale excitement of a stadium, to the thrill of an arena to the intimate setting of a theatre and club with special set lists. This year's tour takes the concert experience to the next level by bringing together the advantages of an up-close club experience with their electric stadium show. The band will fulfill the ultimate dream of music lovers across the globe, offering the unimaginable - the opportunity to be onstage with the Rolling Stones. Several hundred seats are built directly into the stadium set, offering fans the once-in-a-lifetime opportunity to share the excitement and adrenaline rush of being onstage as the Rolling Stones perform to an audience of 50,000 plus. Tickets can be purchased through all usual ticket outlets. Fans are able to enjoy special access to tickets, exclusive merchandise and can also follow the tour online at www.rollingstones.com. For the first time ever, concert goers will be able to see the exact seat locations and choose the price level of tickets before purchasing a platinum membership to the fan club. Every ticket sold for the tour will include a free Virtual Ticket membership in the Rolling Stones fan club. Updated daily, users will be given an exclusive insider's look at every aspect of the tour. From rehearsals and preparations to on-going coverage via audio and videos streams, downloads, set lists and news and much more. Virgin Records invited selected press from Europe to a promotional party at Olympic Studios, London on Wednesday June 29, 2005. They said the Stones have recorded a total of 18 songs for the new album, of which they played samples from 11 songs at the preview party. Some of the songs may not end up on the new album of course. The song "Neo-Con" has got a political message amout moralism in the White House, they say. There was two ballads, one by Keith and one by Mick. The rest is up-tempo pure and straight Rolling Stones as we all have got to love them. See report from the Virgin party by Norwegian newspaper VG. Since Thursday, after a friend of mine discovered one of the studios being used by Mick and Keith to mix the new album, he and I have both been trying to meet Mick and Keith and get some albums and things signed. We had success on Friday night and Monday night in meeting Mick and tonight we met Keith and Don Was. Tonight was the final night of mixing, as told to us by Don Was. I asked him the release date and he said it should be September 6th (presumably Sept 5th in Europe), which goes along with what Mick told me on Friday when I asked him if it would be out in August. He said September as well. Don left minutes after Keith and we talked to him as he walked to his car. After getting into his car, he rolled down the window and asked if we wanted to hear something. He played to us on cd the song he said they had just finished tonight which was called She Saw Me Coming. Before playing it he said "you're the first people in the world to hear this" (obviously outside studio staff and Mick and Keith themselves). The song sounded great. Vocals are prominent in the mix with Mick repeating the line "she saw me coming" throughout the song. The instruments were sharp in the mix without the production sounding too glossy. The guitars were prominent. He also said Oh No, Not You Again will not be the first single. He said the mastering of the album begins tomorrow (Wed June 29). We had asked Keith the title of the album and he said "I think it's the same as the tour" (On Stage seems unlikely). I asked Don the same question and he said it hasn't been finalized. Thanks to Stones fan Ken Lund in Los Angeles for bringing us inside info! Billboard : About the new single "Streets of Love"/"Rough Justice"
Toshiba-EMI Japan : Official site with download Of "Streets of Love"
Official press photo by The Rolling Stones.